I'm running some typing tests on the AEK and the Cherry g08 with the black MX switches. I tried the cherry keyboard before and liked the keys. They are smooth and linear, and I felt that though they are a bit hard to press, not having the tactile sensation, actually kind of pushed my fingers up, and gave them the energy to move to the next key. On the other hand, I didn't like that the keys feel smaller than those in my AEK and Wasd code. My hands felt somewhat claustrophobic when typing, scrambling and twisting to get to the desired keys. Now since I type in Emacs, it means that I need to use modifier keys quite often. The layout didn't help either. The bottom row is skewed to the left, so the modifiers are not aligned under the 'z' and the 'x' as they are in other, more conventional keyboards. 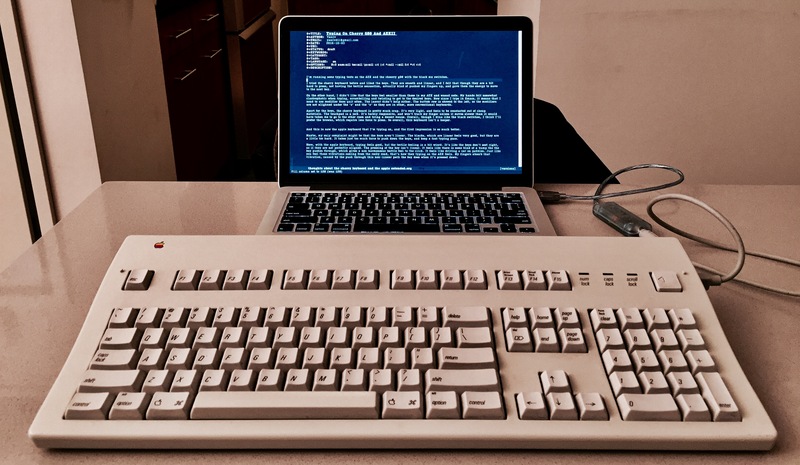 Apart for the keys, the cherry keyboard is pretty much crap. It's very light, and feels to be constructed out of cheap materials. The touch-pad is a jock. It's barely responsive, and won't track my finger unless it moves slower than it would have taken me to go to the other room and bring a decent mouse. Overall, though I kinda like the black switches, I think I'll prefer the browns, which require less force to press. So overall, this keyboard isn't a keeper. And this is now the apple keyboard that I'm typing on, and the first impression is so much better. Maybe, my only complaint might be that the keys aren't linear. The blacks, which are linear feels very good, but they are a little too hard. It takes just too much force to push down the keys, and keep a fast typing pace. 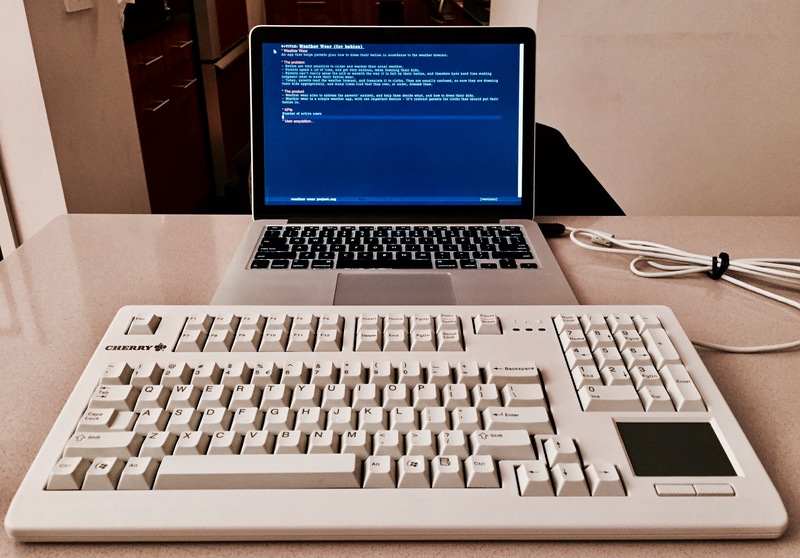 Here, with the apple keyboard, typing feels good, but the tactile feeling is a bit weird. It's like the keys don't seat right, as if they are not perfectly aligned. The pressing of the key isn't linear. It feels like there is some kind of a bump the the key pushes through, which gives a non harmonious tactile feel to the click. It feels like driving a car on pebbles. Just like you feel those vibrations coming from the rocky road, that's how they typing on the AEK feels. My fingers absorb that vibration, caused by the push through this non-linear path the key does when it's pressed down.